The day will conclude with a cracking game on paper with the southern rivals in the Diggers and Panthers set to go head to head. Two weeks ago the Panthers started their semi final match extremely slowly and the team can not have this happen again as the Diggers will be looking to pounce on another slow start. Justin Burch was a big inclusion for the Diggers last weekend playing a strong game and Merimbula would love to have Caleb Higgins back in the line-up this weekend to support Burch in the back line. The Panthers were much better after quarter time two weeks ago controlling their contest with the Sea Eagles and the team found goals through Sean Smith and Finley Cooke in a small forward line. Pambula claimed the round 1 win this season although the Diggers have the head to head edge having claimed the last two match up’s between the clubs. Player to Watch: Daniel Worden, Runner up senior best and fairest in 2018, Worden is the heart and soul of the team as captain. The skipper leads from the front giving 100% in every match that he takes the field. Prediction: Merimbula by 16 Points. Merimbula and Tathra have played some entertaining games of football in 2018 with none better than the draw at Lawrence Park. The Diggers who finished the season as minor premiers will be looking to take this game by the scruff of the neck and take control early in the match. Tathra will fancy their chances this weekend. Player to Watch: Wade Edmed, The Digger was the clear winner of the reserves best and fairest and will need to be stopped this weekend. Prediction: Merimbula by 8 Points. The women’s fixture this weekend between Pambula and Tathra should be a cracking contest. The two teams have been evenly matched throughout the regular season and this weekends winner will have the opportunity to take on the Eden Whalers in the grand final. 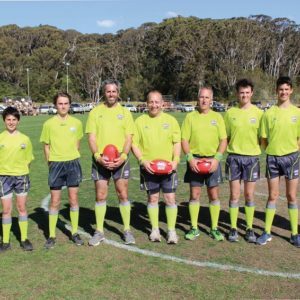 The Pambula Panthers were extremely impressive in the first half against Eden last weekend playing a physical brand of football although they were unable to maintain it for four quarters. Tathra were convincing winners in week one of the finals against Narooma and will be looking to take advantage of a Pambula side who sustained a couple of injuries last weekend. Look for Pambula’s Amy Hodgeson who was club best and fairest to put in a big performance this weekend at home as they attempt to end Tathra’s streak of grand finals. Players to Watch: Cymmon Parker, The Tathra leader was runner up in the league best and fairest during the week and will be keen to get Tathra to their third grand final in three years. Prediction: Tathra by 12 Points. 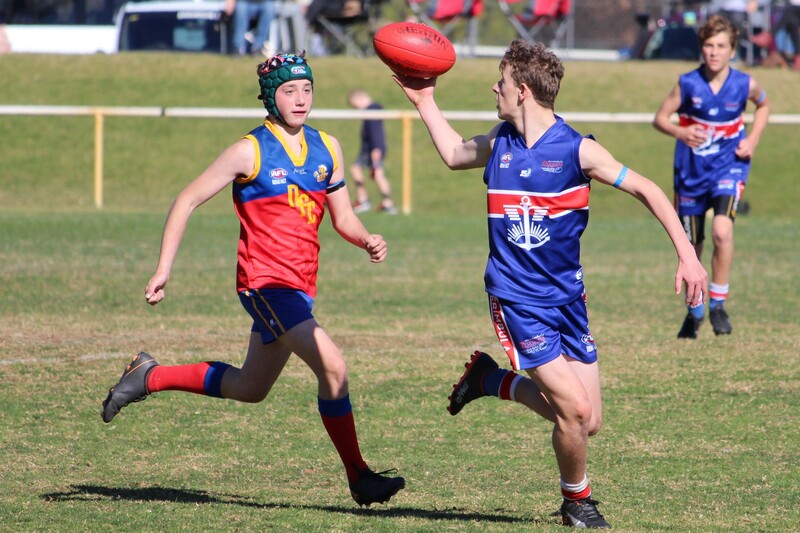 This weekend’s under 16’s grand final sees the minor premier Narooma Lions taking on the fourth placed Merimbula Diggers in what is shaping up to be a great game between the two clubs. The Lions will be disappointed with their performance last weekend against Bermagui where the Lions were outworked and unable to find a way to goal until late in the contest. Rookie of the Year Caleb Higgins is doubtful to take the field this weekend as he still recovers from an ankle injury although the Diggers will be confident of having Matthew Leonard back in the lineup this weekend to strengthen their key positions and ruck stocks. The Narooma Lions have found two key pieces in 2018 with Max Caldwell and Jack Newton coming into the side and playing some really good football over the course of the season as key position players for the team. Both teams are evenly matched and this match could go the four quarter distance. The teams have met 3 times this season with Narooma winning two whilst the Diggers claimed the final match up of the season in Narooma. Player to Watch: Jedd Martyn, After claiming the best and fairest in 2017, Martyn finished as runner up in 2018 after playing limited games for the team this season. Martyn will need to be at his best this weekend. Prediction: Merimbula by 8 Points. The Pambula Panthers got off to a slow start last weekend in their loss to the minor premier Bermagui Breakers and will be looking for that to not happen this weekend in their match against the Diggers. Pambula were extremely competitive after half time with the team matching Bermagui and that style of play should give the team confidence going into this weekend’s must win clash. 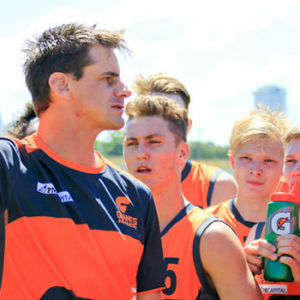 The Diggers were impressive in their win against Broulee Moruya two weeks ago although the team will be without key player Damon Kerr this weekend due to holidays. Merimbula were knocked out at this stage last season to the premiership Pambula side and they will be looking to reverse that result this weekend. With Kerr out players like Noah Overend, Billy Spackman and Roy Buckinham will need to shoulder more of the load this weekend if they are to play in this years grand final and give themselves an opportunity to cause an upset against Bermagui who will go into the match as heavy favorites. Pambula’s Ben Cole-Gammell, Luke Shaw and Sean Armstrong have been big improvers in recent weeks for the Panthers. Player to Watch: William Seach, The Pambula midfielder was named best & fairest for the second time in two years and will be key to the teams success this weekend. Prediction: Pambula by 14 Points. 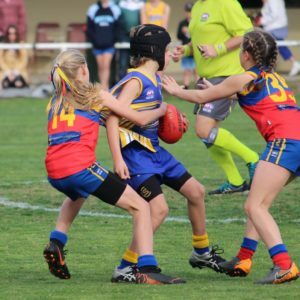 Like all the games this weekend, the two teams entering this weekend’s preliminary final in the under 12’s are evenly matched with Merimbula and Bermagui to go head to head. Both teams have a big two with Merimbula’s Beau Bennett and Walter Blewitt key players for the team whilst Bermagui has best and fairest winner Lachlan Moresi and Tyge Matters to counter. Both teams have solid supporting casts and it could come down to which group has the better showing this weekend. The winner of this weekend’s game will play Narooma who were too strong for Merimbula last weekend and will be deserved favorites in two weeks time. Bermagui will be looking to get out in the open spaces this weekend and run with the football and the bigger ground of Pambula should help the team achieve this. Merimbula hold the edge over the Breakers in 2018 with the Diggers claiming both contests and this will give the team confidence leading into the contest. Player to Watch: Lachlan Moresi, the Breaker claimed the league best and fairest during the week after an impressive season. Prediction: Bermagui by 4 Points.